Ecology is the study of the interaction between organisms and their environment. The word ecology comes from the Greek words “oikos” meaning house and “logos” meaning word or study. Ecology today can be divided into two broad domains. The author Christian Lévêque uses the terms population ecology and systemic ecology to refer to them. His terms for these two domains will be used for the sake of a consistent terminology. Population ecology focuses on the interaction between species or populations and between populations and their environments. This branch of ecology does consider non-biological factors, but it is primarily concerned with the living world. Population ecology can be studied on multiple scales including individual organisms, populations, and biological communities. Individual Organisms – the smallest scale studied by ecology is the individual organism and how it interacts with its local environment and other organisms. This level involves the study of the physiology of a single organism, how the organism impacts its environment, and how the surrounding environment affects the organism. 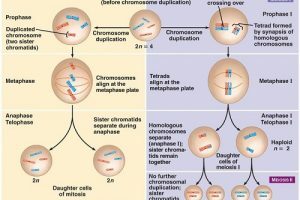 Populations – a population will consist of a single species. The study of ecology at the population scale is concerned with a single species and how it interacts with its environment. Communities – biological communities are groups of interacting populations. Ecological studies at the community level focus on the relationship between two or more populations or species as they cooperate and compete for resources. An example of community scale ecology is the study of predator-prey relationships. In systemic ecology, both the living and non-living components of the environment are considered in depth. Systemic ecology will often look at non-biological aspects of the environment such as the transfer of matter and energy through different trophic levels as well as biogeochemical cycles. Trophic levels are important in ecology and they define how energy moves from producers which gain their energy directly from sunlight to consumers which get all their energy from consuming the producers. Producers would represent one trophic level while primary consumers that get their energy from producers represent yet another trophic level. In nature, elements are recycled both through biological and geological or otherwise non-biological components of an environment such as the geosphere and the atmosphere. An example of a biogeochemical cycle would be the water cycle. When water is evaporated from the oceans and precipitates over land, some of it will flow into streams and rivers eventually returning to the ocean while some of it will enter the ground water supply. Some of the water that precipitates will also be intercepted by vegetation and evaporate without absorption or runoff. In this way, the water cycle involves both biological and non-biological processes. 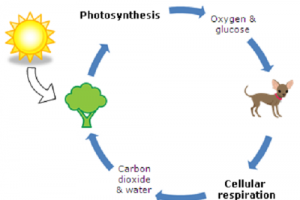 Other important biogeochemical cycles include the carbon cycle and the nitrogen cycle. An ecosystem is a system consisting of a biological community and its physical environment within a limited, but loosely defined, geographic space. An ecosystem can be a rainforest, a lake, or even a hydrothermal vent on the ocean floor. An ecosystem consists of two main components: the living organisms and the associated environment in which they are found. The physical environment is important in determining what kinds of organisms will be present in an ecosystem. A rainforest, for example, will have very different organisms than a desert. Temperature, rainfall, and local geochemistry will all affect what type of life will compose the living part of the ecosystem. For example, an anoxic environment will result in anaerobic bacteria being the predominant form of life, whereas an environment with abundant oxygen will result in more familiar aerobic life-forms. For an ecosystem to be more than just another environment, it must contain living organisms that interact with and influence the geochemical and geological aspects of the environment. An important process that regulates the community of organisms is the food chain which is another way to talk about trophic levels. A balance between the different trophic levels is important for maintaining a sustainable ecosystem. For example, if the number of carnivores increases, it will cause the population of herbivores to decrease. The reduction in the number of herbivores will, in turn, cause plants to become more abundant. If a balance is not maintained, resulting in there not being enough energy or food for all organisms in the ecosystem, the ecosystem will cease to be sustainable and may collapse. Too many herbivores consuming most of the plants, for example, could cause a population crash for the herbivores which would result in a population crash for the carnivores that depend on the herbivores for food. Ecosystems are important in the study of ecology in that an ecosystem represents the largest possible scale other than the biosphere. Ecological study of a biological community mainly concerns interaction between certain populations or species, but ecology at the ecosystem level studies the processes affecting the community and surrounding environment together as a whole. Systemic ecology is also called ecosystem ecology as a result. 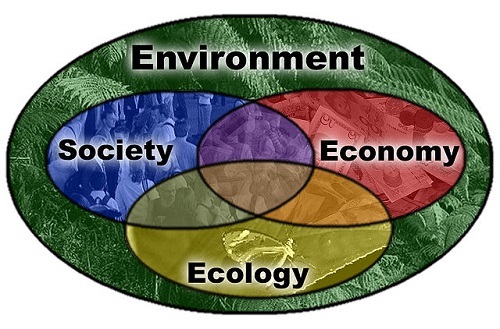 Ecology and ecosystem are concepts with significant overlap. They both involve an interaction between organisms and their environment and cycles that include biological and non-biological components. Ecology is a discipline that involves the study of the interaction between organisms and their environments. 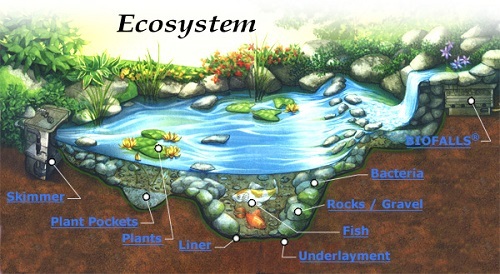 An ecosystem is a specific community of organisms interacting with a specific environment. Ecology is the scientific field that would be used to study an ecosystem. An ecosystem is a biological community and its physical environment. This physical environment includes biogeochemical cycles and the local temperature, pressure, chemical composition, local geology, etc. The biological community includes a group of species that interact with each other over a limited though not clearly defined geographic space. Ecology is the field of study that would be used to study ecosystems as well as scales below the ecosystem level including individuals, populations, and communities. + Blew, Roger D. "On the definition of ecosystem." Bulletin of the Ecological Society of America 77.3 (1996): 171-173. + Lévêque, Christian. Ecology: from ecosystem to biosphere. Science Publishers, 2003. + Smith, Robert Leo, Thomas M. Smith, and M. Smith Thomas. Elements of ecology. No. 577 S6E5 1998. 1998. + Stauffer, Robert C. "Haeckel, Darwin, and ecology." The Quarterly Review of Biology 32.2 (1957): 138-144. + Begon, Michael, John L. Harper, and Colin R. Townsend. Ecology. Individuals, populations and communities. Blackwell scientific publications, 1986. + Schlesinger, William H., ed. Biogeochemistry. Vol. 8. Gulf Professional Publishing, 2005.